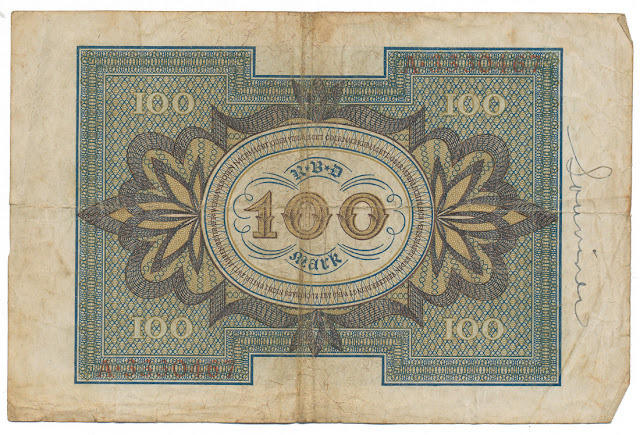 100 mark note from Germany, dated 1920. "Souvenir" is written on both sides. 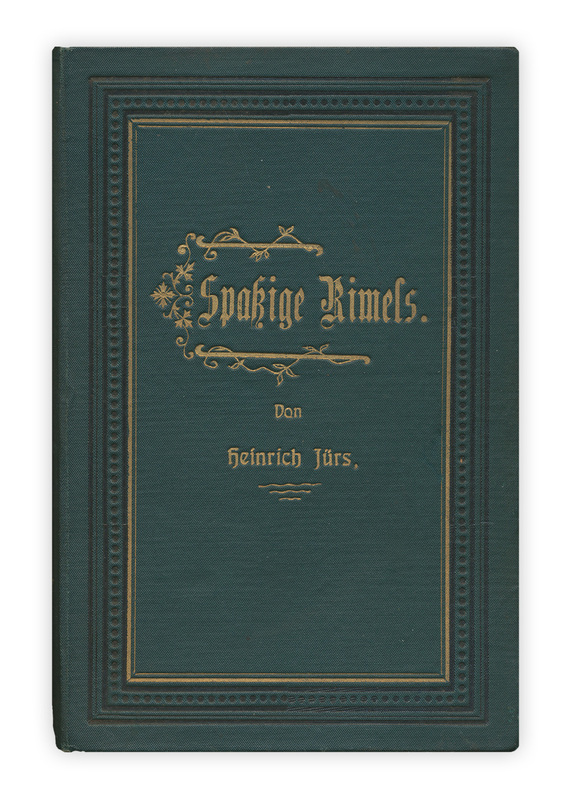 Found in "Spaßige Rimels - Plattdeutsche Humoristische Gedichte" by Heinrich Jürs. Published by G. Kramer Verlag, 1894. What a fun find. Quite a pretty piece of money. It makes a nice bookmark although I wonder if it's worth something as a collector's piece. 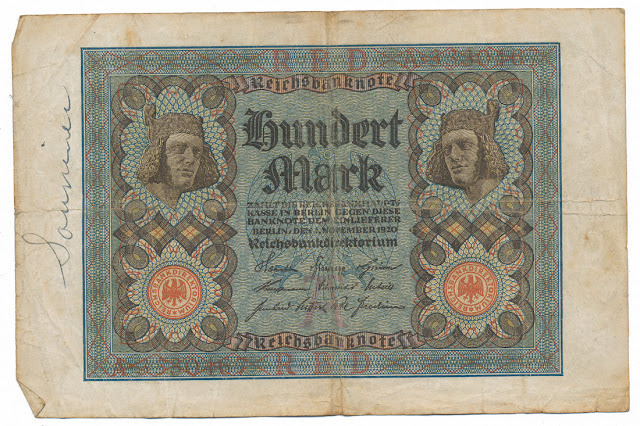 I have a note like this, same print run, November 1920...but my serial number starts with an O and no one wrote "souvenir" on mine! LOL! I bought it in a vintage-collectible store about 8 years ago, in a cute little gilt frame, for 10 or 12 dollars. (That's US dollars.) Just the frame was worth that! So, I can't assume it's a highly sought after piece of paper money. But, I am curious. How much money was that THEN? But, what I can't seem to find is the exchange rates in 1920, so that I could look up the inflation amount after the currency conversion. Tricky! That said, I am quite curious. 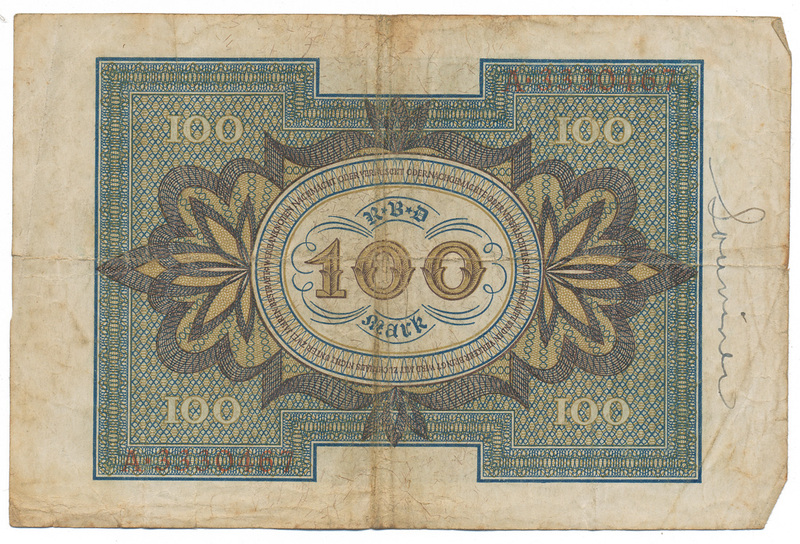 100 of anything (in 1920-something, or 30-something) seems like a lot of money to shove into a book, and forget about...especially considering the Great Depression was right around the corner.